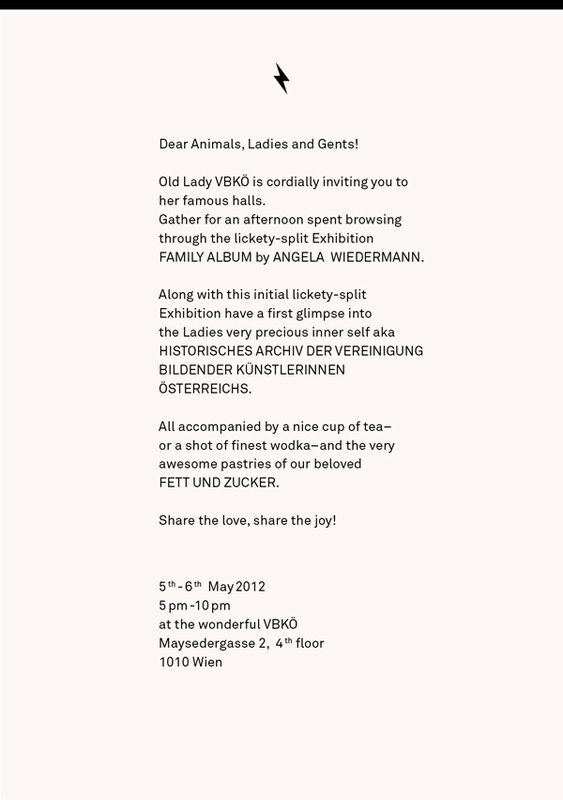 to visit the Lickety-Split-Exhibition of Angela Wiedermann. one of VBKÖ’s first activist members. 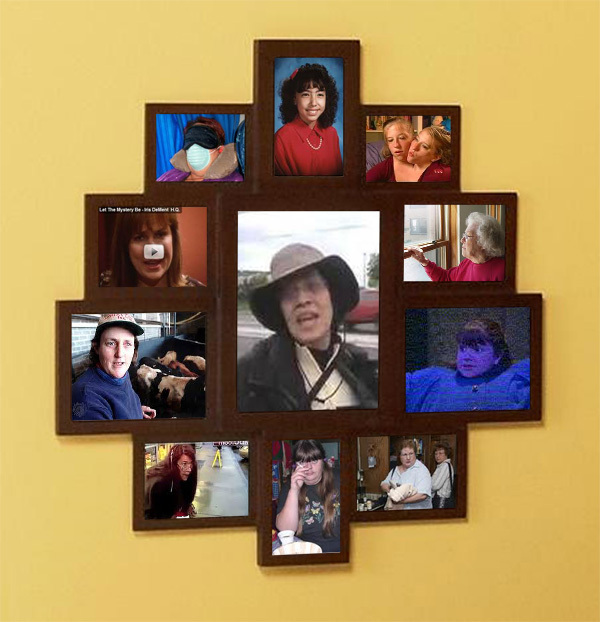 The work Family Album is a retroactive investigation into the project, Drowning in a Sea of Possibilities, Nicely, which consists of 77 anagrammatic alter egos created from the name „Angela Wiedermann.“ Family Album retrieves the images of those alter egos‘ stories. Lickety-Split (super-speedy) is the first in the BLITZ, GLITZ, CLITZ series of exhibitions. 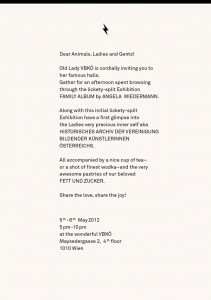 These are quick, short-term exhibitions, featuring members of the VBKÖ. The Archive Tours will additionally take place on a regular basis, introducing specific focuses from the historical archives of the VBKÖ, existing since its inception in 1910. Angela Wiedermann lives and works in Vienna. In her work she depicts her utopian phantasies, dwells in megalomania, explores her personal stereotypical mind maps, and plays with her own identity, constantly drifting between reality and fiction.